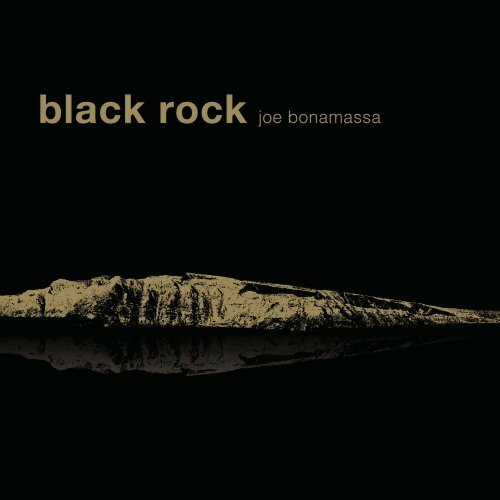 Comedian Ron White has a fun routine about "truth in advertising" that comes to mind when I think about Joe Bonamassa's latest effort, Black Rock. The album takes its name from the studio in Greece where Bonamassa and producer Kevin Shirley holed up to record but there is a lot more than geography at play in that name. Accidentally on purpose, the title gives listeners a clue about what kind of journey they're about to embark on. While blues will always be at the heart of what Bonamassa does as a singer and guitarist, Black Rock finds him injecting those roots with a healthy dose of volume and overdrive. The cartography lesson begins with "Steal Your Heart Away." "Steal" opens with the kind of bloozy riff that Jimmy Page and Joe Perry effortlessly cranked out throughout the '70s. The cool thing about the way Bonamassa changes to the stomping start-stop riff of the verses is that he doesn't morph or transition to it, he just does it with complete abandon. Serious composers might find this approach maddening but that's where JB's blues roots come into play; rules are meant to be broken if they serve the song and more importantly if they help create the right feel. Bonamassa's voice and guitar are focal points and "Steal" is contemporary and classic, blues and rock. As the album unfolds, a pattern emerges and that is that Bonamassa's originals tend to work better than his covers. It's not because of his choice in covers and its not that the covers are bad but his blues-rock hybrid seems to more naturally serve his songs. Otis Rush is the pinnacle of all that is righteous in my blues universe and I'm always going to be a tough judge when it comes to someone covering him which Bonamassa does on "Three Times A Fool." JB's version is passable but I'm not sure what he was going for vocally. More than any specific criticism of the version is that it doesn't really fit against the backdrop of the rest of the record. Neither does his cover of Leonard Cohen's "Bird On A Wire." Bonamassa demonstrates great taste in artists to cover but the execution and once again the fit of those songs with the rest of the album is odd. The cover that works best is Willie Nelson's "Night Life," a song Bonamassa duets on with one of his heroes (and a hero to millions), B.B. King. Kevin Shirley's production puts some shine on the horns without making the rest of the song slick. Joe sings with a big smile on his face and B.B. King plays the role of B.B. King. He sounds fresh and energized, and the song is a perfect vehicle for them. Classic rock stations should grab this track and put it in heavy rotation on the weekends. "Night Life" is going to get those aging boomers dancing in the backyard of their summer cookouts, beer and ribs in hand. It's classy, classic, and fun. The highlight of the record is the Bonamassa original "Blue and Evil." The Zeppelin-esque rocker has the mystical flourishes of "Kashmir" and a riff to match but where the Zeppelin classic had a sprawling, epic quality Bonamassa's "Blue And Evil" is firmly rooted and packs a muscular punch. Even Bonamassa's estimable ability as a lead player takes a back seat to the power of the riff and the sinister, foreboding mood of the piece. Black Rock delivers on the promise of its title and when it's good it is very good and most of the album falls into that category but over the course of 13 songs there are dips where ideas failed to fully take flight. With eight studio albums in 10 years — and several live releases interspersed — Bonamassa has evolved through sheer determination and Black Rock is a tasty step along the path of his personal musical journey.